Gov. 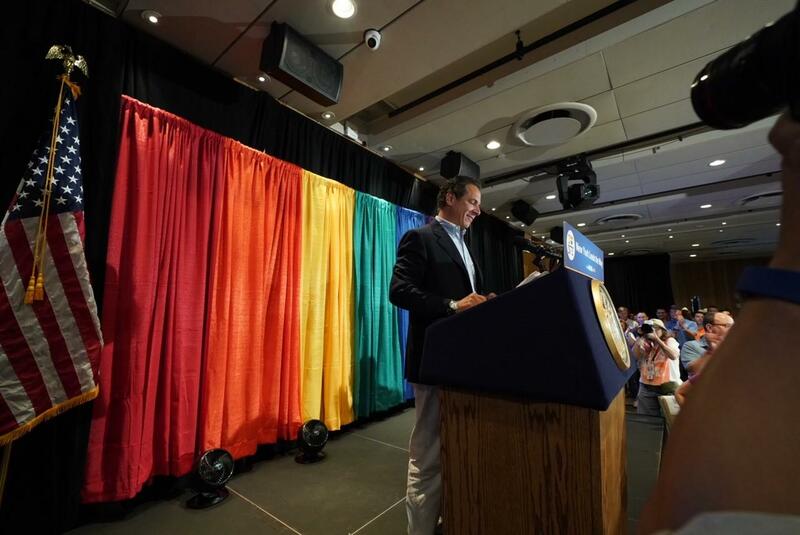 Andrew Cuomo talks Sunday about new protections for transgender New Yorkers. Gov. Andrew Cuomo announced new protections for transgender New Yorkers on Sunday, saying the state health department will add gender identity to a non-discrimination list that already includes race, color, religion, national origin, sexual orientation, age and source of payment. Cuomo said the change was part of an effort to head off efforts by the Trump administration to roll back anti-discrimination measures on a federal level. Advocates for LGBTQ rights in Rochester applauded the governor’s statement. Tanner said when transgender people go to their doctor or visit a hospital, they often have to deal with difficulties that are invisible to other patients. In many situations, transgender patients “may not have support from, or even be in contact with, their birth family,” Tanner said. That can make planning for release from the hospital difficult, as health care providers notify parents whom their children haven’t spoken to in years. In the best cases, Tanner said, that can be uncomfortable. In the worst cases, it’s dangerous. The new rules change that, allowing patients to choose whom the hospital should notify to help plan their release and post-discharge care. Tanner says it’s a move that will have immediate benefits for people who get released from the hospital into the care of families who have disowned them. “We get calls every day from people who say, ‘I don’t know where to turn. I don’t know where to go,’ ” Tanner said.